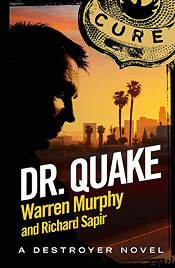 The villainous Dr. Quake is threatening to unleash devastation on California unless he's paid a king's ransom. He has the technology, and California certainly has the fault lines. But while Quake and his lovely assistants may have plate tectonics under their thumbs, Remo and Chiun are two forces of nature they never planned to contend with.